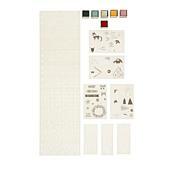 Put your stamp on cards, layouts and more this season with this lovely layering kit. 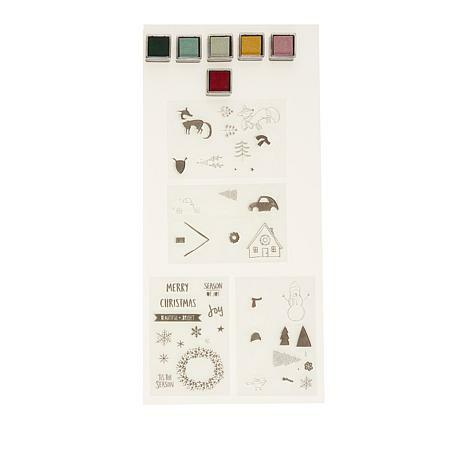 Create a variety of gorgeous stamped scenes to send to loved ones or simply deck your halls. What will you make with Memory Keepers? 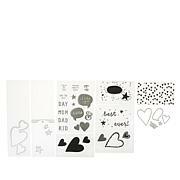 Stamps range in size from 1/4" to 2-1/2"
I ended up loving these stamps & ink pads way more than I expected. They are a great set for the money & I love the images. I'm very happy with the quality of the stamps & inks too. The images are simply adorable and I can't stop grabbing for this set. 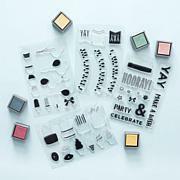 I will be buying the other layering stamps like these as well!